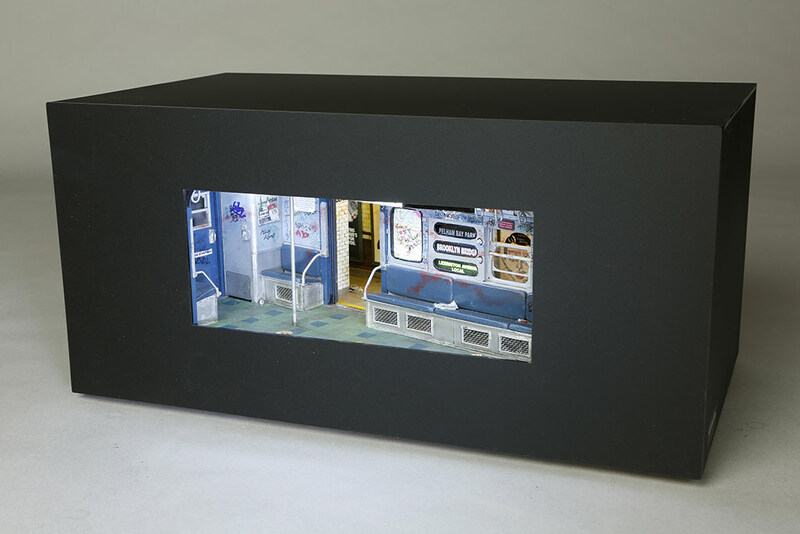 This subway diorama gives you a point of view from the interior of the car. Looking off to the left you can see a partial view into the next car. 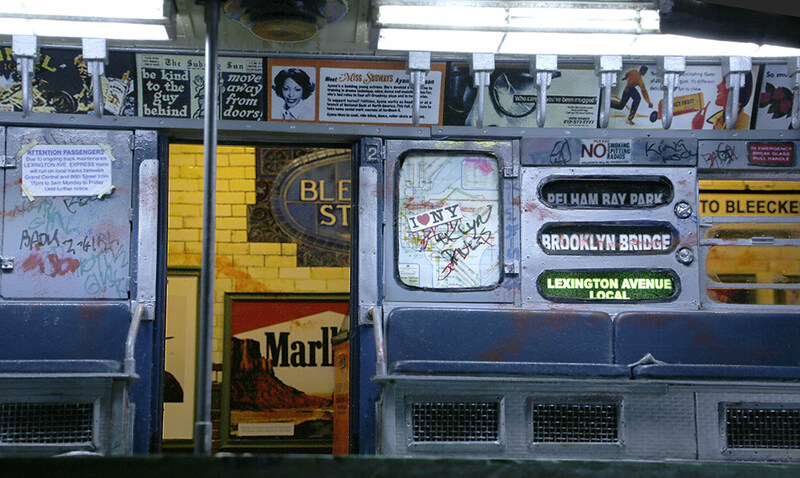 The view through the door and windows puts you on the Bleecker St. station — in the heart of Greenwich Village. 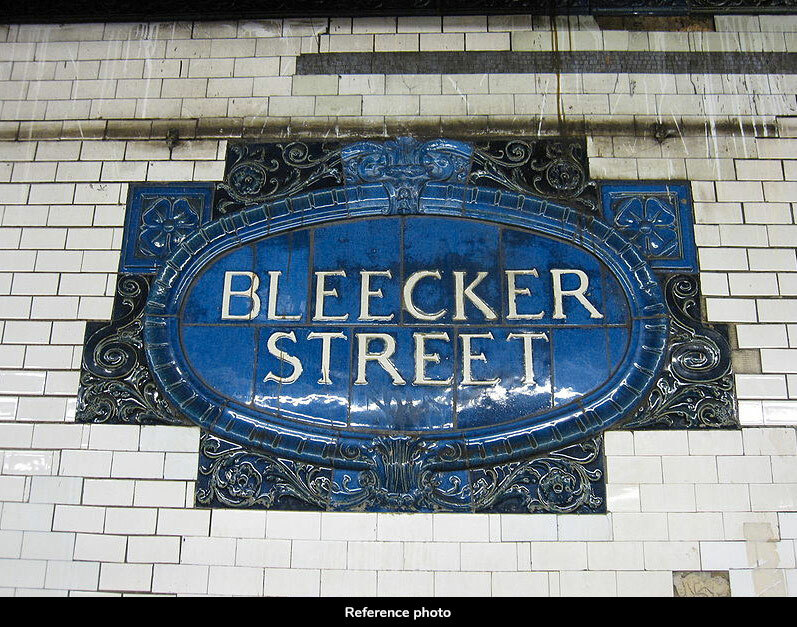 The sign on the station wall is a replica of the original ceramic sign which has been there since the IRT subway line opened in 1904. 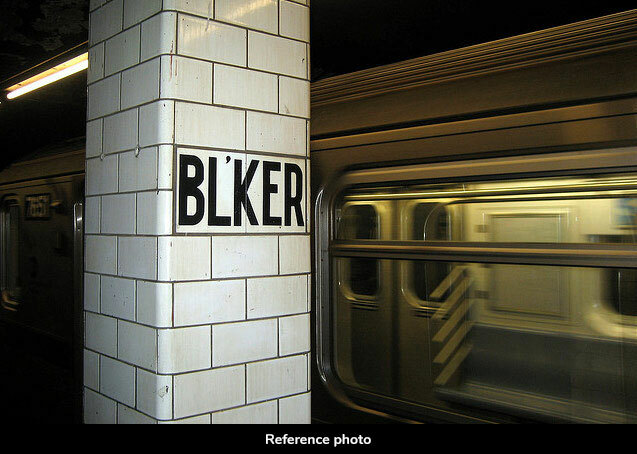 Thankfully, the sign has been preserved by having it declared as a New York City Landmark.